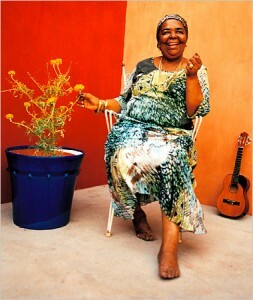 On December 17, 2011, Cesária Évora, a musical ambassador of sorts for Cape Verde, left us. There was an abundance of tributes and declarations by her faithful audience, present in almost every corner of the globe. The singer, as well as the music of her country, were the focus of the blogosphere in recent days, and in the twittersphere Évora became a Trending Topic on the day of her death. It was a voice of Cape Verde listened to and acclaimed all over and, in some way, a national symbol. Endowed with an unmistakable vocal instrument, as in fact a large part of Cape Verdeans, she appeared on the biggest stages of the world with extraordinary success. A voice that distilled the fine melancholy infused in mornas – a kind of samba – a song of the land of the performer – which she sang in creole, a language which mixed Portuguese, French and African dialects. Évora also gave voice to coladeiras, other Cape Verdean rhythm, more danceable and closer to a Caribbean step. The album was acclaimed by the critics, and in 1992 she recorded Miss Perfumado, and went to live in France. She became an international star at 47 years of age. In 2004 she received a Grammy, of Best Contemporary World Music Album. She was the singer who received greatest international recognition in the history of Cape Verdean music. Cesária does not stop. Since, at age 48, she began her international career in France, she spends the better part of the year on touring the world. Isn't she tired? “One must take full advantage, now that there is work,” she told us, as if unaware of being a world star, as if she still lived in the miserable times of the bars of Mindelo. “As long as I can, I will not stop.” In the audience (…) Cape Verdeans are rare, or even spectators of African origin. 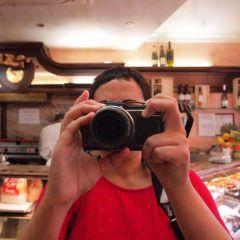 The majority are British people, family, couples, young people, of middle age, and upper middle class… “They don't understand anything of what I am singing,” Cesária tells us. “Nobody understands creole. But it doesn't matter. The music says it all. They understand the music”. (…) How does she do it? Is it a trick? A magic trick? Nobody knows how to explain, but there you have the whole fascination with Cape Verde. And with Cape Verde in focus, a debate has arisen over who will take her place as musical spokesperson of the country. 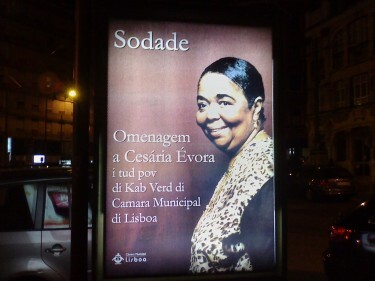 Candidates to the succession of Cesária Évora as the “voice of Cape Verde” are Cape Verdeans born in other parts of the world, for the most part in Lisbon. 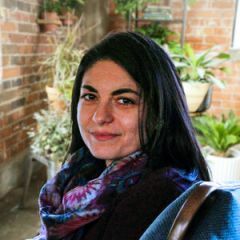 Mayra Andrade, the best placed, was born in Cuba and lives in Paris. 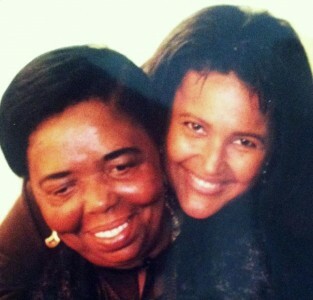 If Cesária Évora, who died on Saturday, was the “voice of Cape Verde” and the biggest international symbol of the country, the physical disappearance of the barefoot diva leaves a void, in a way, a place that the daughter of Mindelo occupied in the international musical landscape up until now. The candidates to the succession are numerous and more or less known, having in common the fact that, unlike Cesária, they were not born in Cape Verde, instead being daughters of the creole diaspora. 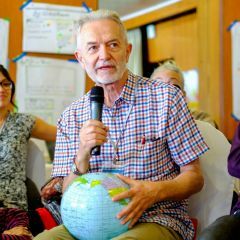 Among the names cited are Mayra Andrade, Lura, Nancy Vieira, Sara Tavares, Carmen Souza, Maria de Barros, Danae and Isa Pereira. Some were born in Cape Verde, and others were not, some spent time in the country and others have not, and with various musical influences, as the case of Carmen Souza, who mixes Cape Verdean traditions with jazz, or Maria de Barros, with influence of Latin music, principally salsa. There appears to be an effort to renew Cape Verdean music and make connections with other music, but with strong links to the roots of musical tradition of the country. What is notable is that the doors for Cape Verdean music were opened by Cesária Évora and the strength of her work, that in one form or another appears influential in the work of all of those singers cited above, be it musically, be it by inspiration and love for the country and for its language. And it is hoped they will continue on with her legacy in one way or another.